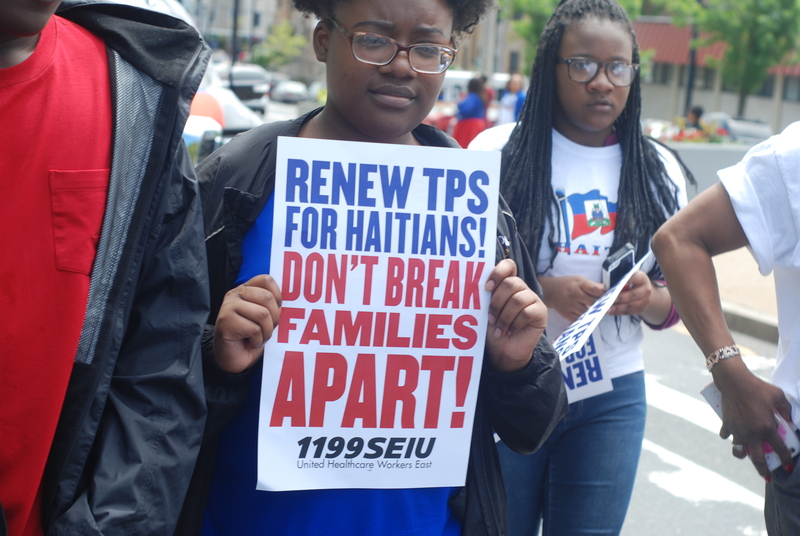 MIAMI – DHS’s announcement extending Haiti’s TPS designation for only six months (rather than the usual, appropriate 18 months) sends very mixed signals and omits extremely significant facts. It stresses this is likely the last extension, that TPS holders should prepare their travel documents for return to Haiti, and (which is inaccurate) that conditions have greatly improved. DHS’s announcement ignores the vast destruction last October of Hurricane Matthew, the worst to hit Haiti in 52 years which hit Haiti’s bread basket; Haiti’s unchecked cholera epidemic which has killed and sickened at least 9,500 and 800,000 respectively, and the current food insecurity crisis and spiked cholera cases due to Hurricane Matthew. This is misleading because many camps were forcibly closed due to regular, unchallenged, large-scale evictions by landowners, not because other housing had been found, which it had not been, or because residents had any place else to go. This has been a huge problem in Haiti. Even more significantly, several of the larger camps were reclassified by the Haitian government as “permanent housing,” simply because the residents had attached so much salvaged building material to their shanties. In fact, perhaps never has there been a clearer case for TPS extension than Haiti’s case now, due to the overwhelming triple calamities of earthquake, Matthew, and cholera. Haiti can’t safely assimilate 50,000 deportees nor, crucially, replace their remittances to hundreds of thousands of families back home. 50,000 still live in tents seven years after the earthquake. For this reason Haiti’s government was joined by the New York Times, Washington Post, Boston Globe, Miami Herald, New York Daily News, Sun Sentinel, Palm Beach Post, and Orlando Sentinel editorial boards, the Republican governors of Florida and Massachusetts, 100 bipartisan members of the U.S. Senate and House, 14 big city mayors, 550 U.S. doctors, 416 faith leaders, 330 organizations and leaders, and a host of others in urging an 18-month extension. Support was unprecedented because the justifying facts on the ground are, as evidenced by an 8-page single-spaced December assessment by U.S. Citizenship and Immigration Services (USCIS) that conditions warranting TPS persist in Haiti, and then-Secretary of State Kerry’s recommendation that it be extended. But last month, USCIS under President Trump reversed itself, urging termination, and recent leaked DHS efforts to demonize Haitians as criminals and welfare cheats as a means of justifying termination were reprehensible: inherently racist, such considerations are irrelevant, since TPS is a humanitarian program, TPS recipients are ineligible for welfare, and criminals are ineligible for TPS! So this reprieve is temporary – the facts and overwhelming support were too strong to ignore despite the announcement’s misleading nature and omissions – and we must make sure that they remain so in the months ahead.